Banners, Stencils, Wheatpastes for Oct 7th! 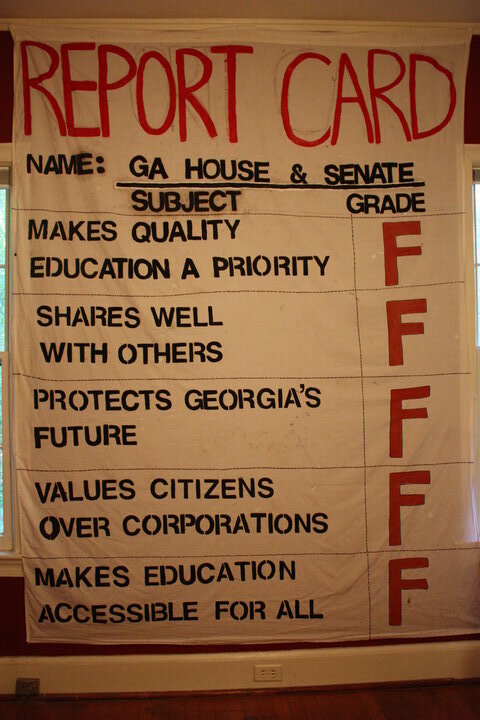 Over the past few weeks we've been working with folks to create a number of stunning images designed to bring to attention the increasing defunding of Georgia Public Education. All over Georgia, from Milledgeville to Athens, Atlanta to Savannah, Columbus to Kennesaw, communities are coming together in an effort to protect public education. From the cuts in K-12 that have dramatically increased classroom sizes, cut important programs, and laid off much needed support staff, to the cuts in public universities which have resulted in dramatic tuition and fee increases for an already struggling student body. Georgians are resisting what some call a crisis of priorities. 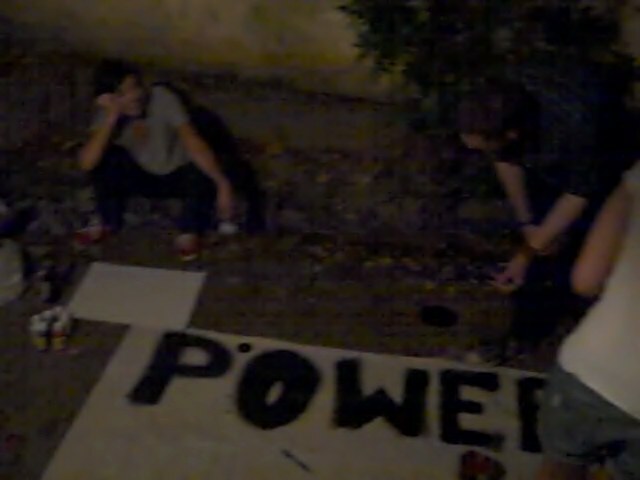 Young people may not have millions of dollars to spend on a slick campaigns to win back their future(or societies future) but they do have energy, truth, and a whole lot of creativity. 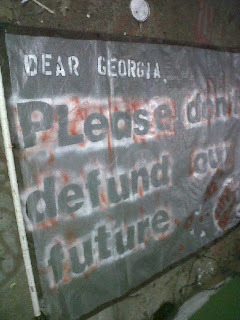 Look for dozens of beautiful banners, stencils, and wheatpastes that have been created to provoke thought and bring awareness to what we are losing in Georgia...our education funding, our future. 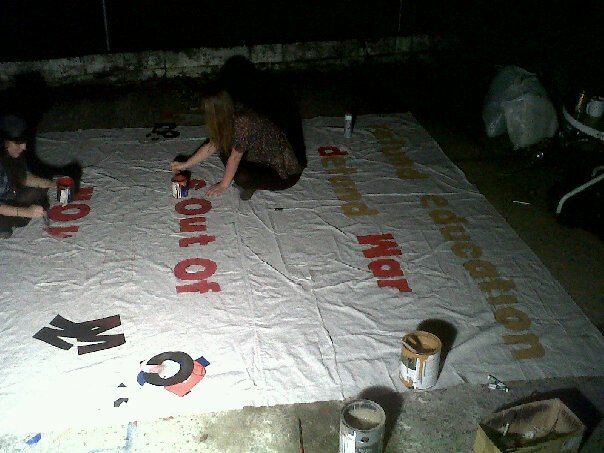 We've, of course, encouraged young people to drop banners, paint stencils, chalk, and wheatpaste in spaces that are totally legal. Though we don't condone illegal art, it should be said that we do not condemn illegal banner droppings and such, as the eyeways belong to all who look, not just all who pay. All of this work is leading up to a nation wide day of action on October 7th, a day to defend education, a day to examine this crisis of priorities, to stand with immigrant students who are under attack everywhere including Georgia. If you are a college student, then you are likely already aware of actions planned on you campus, join them or plan your own. If you are in the Atlanta area and you want to add your voice to the choir, then come to Woodruff Park Thursday October 7th at 4:30pm. Stand with us, march with us, for the future. It's been exciting watching different struggles unite for this cause. 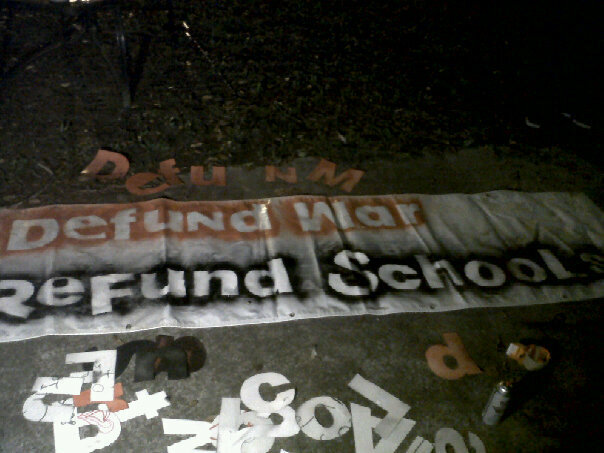 Anti-war groups like the Georgia Peace & Justice Coalition seeing the education budget cuts through the lens of unjust war spending. 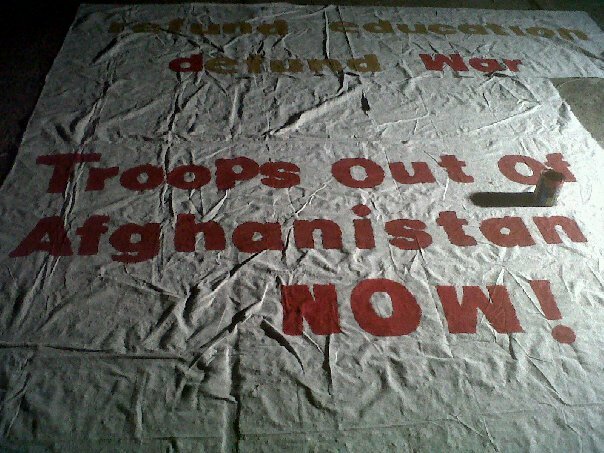 October 7th is, after all, the nine year anniversary of American longest war, Afghanistan. Joining the call for October 7th mobilization is the Georgia dreamers, who face so much more than budget cuts. 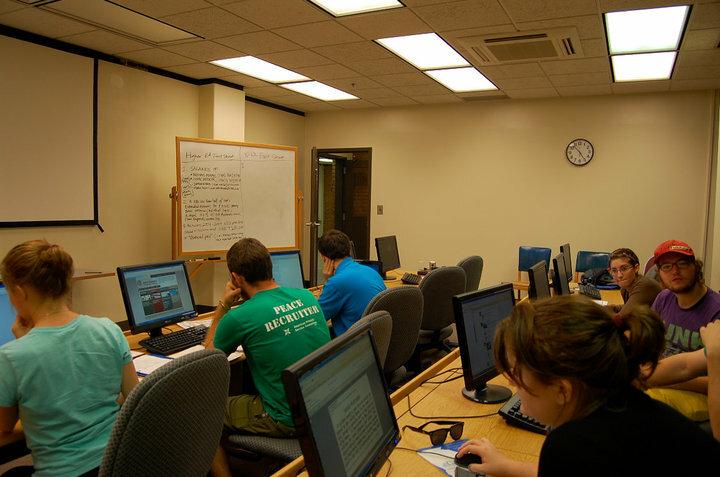 Student Career Alternatives Program(SCAP) has joined the call. 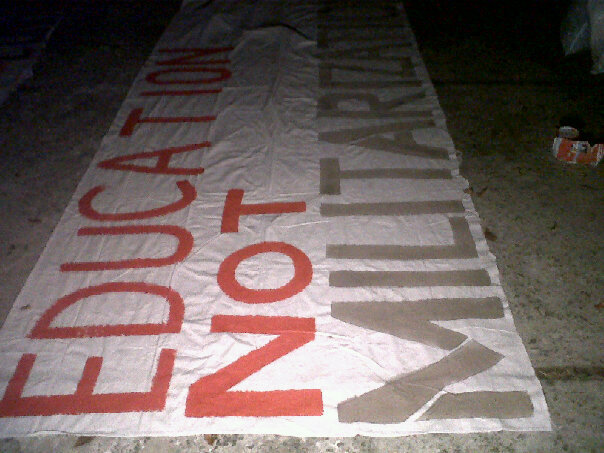 Members of SCAP see the attack on education as an attack on the future post high school options for low income youth, a move that only strengthens the school to military/prison pipeline. 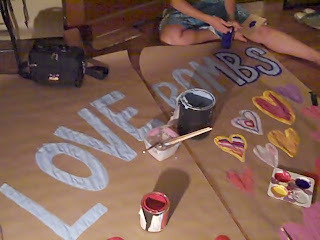 SCAP plans to unveil several banners around the city October 7th and at Woodruff Park. More and more people of conscious are making the connections. Why does it rain money every time our government asks for money to bomb non white nations, yet when we ask for money to fund our own domestic education system we hardly get a drop? Why are we sinking so much money into policing and imprisoning our own citizens while defunding that which arms young people with the power to truly reach their potential and achieve their dreams? 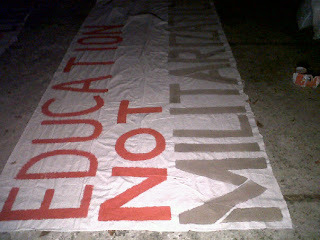 We hope YOU will add your voice to the choir in defense of education in whatever way you can. 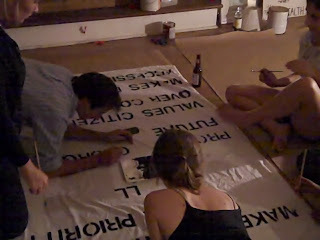 It's not to late to make your own banner, wheatpaste, or stencil! 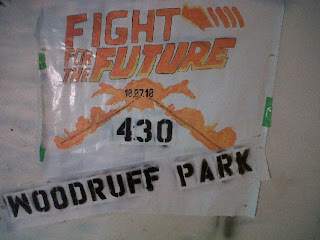 It's not to late to fight for the future! This past Saturday the Movement to End Israeli Apartheid Georgia(MEIAG) held it's monthly community meeting at our offices in Atlanta. 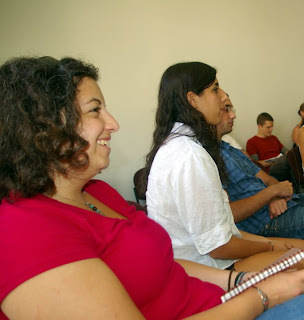 MEIAG usually begins each community with an analysis and discussion and this month the we had the opportunity to discuss the global implications of Israel's recent attacks on the freedom flotillas. For those that aren't aware, in May of this year a convey of peace activist carrying several tons of humanitarian aid to Gaza was brutally attacked while on international waters. The few recording devices not permanently stolen from media aboard the Flotillas caught audio of Israeli soldiers shooting activists before they even landed on the ships. In the end 16 activist were killed, many of them at close range, dozens more injured, all unarmed. The US media coverage was somewhat biased, immediately giving voice to Israel's excuses and focusing on silly facts, like footage of activist trying to protect themselves with folding chair as the IDF shoots at them? The rest of the world painted a picture that was much closer to reality, and the consequences were swift for Israel. The facade was cracked. Turkey withdrew it's ambassador from Israel, and joined Greece in canceling joint military exercises with it. Several EU countries summoned their Israeli ambassador to protest their behavior. Protests broke out all over the world. 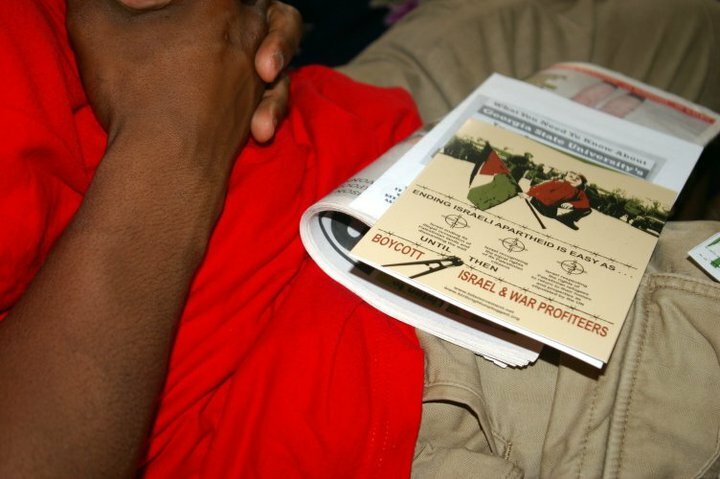 Union dock workers refused to unload Israeli goods and dozens of entertainers refused to set foot in Israel. It seemed like the begining of a change in the global narative in Israel, except in the United States where media seemed intent on towing the line for Israel. 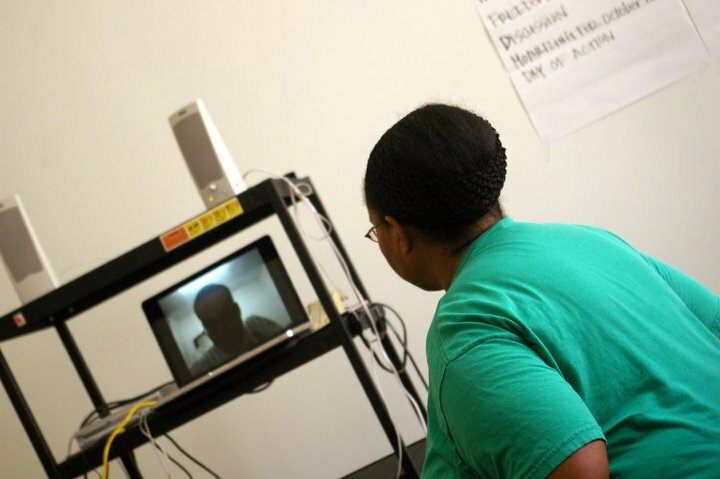 So in the spirit of continuing to reach out for a more global perspective MEIAG set up skype sessions with Alexandr Vojita, who was actually on the flotilla, and Eva Adams, both activists in Prague. Sadly we had technical diffuculties which cut our conversations with them to basically a cameo thanks from the crowd. We also had the pleasure of skyping with Ziyaad Lunet who was in Jerusalem at the time. Ziyaad is a founding member of MEIAG and an instrumental organizer in the global BDS movement. Ziyaad shared a little about his recent expreience in the Gaza stripe and his analysis on the global impact of Israels attack on the flotilla and answered several questions from folks in Atlanta. the Israeli apartheid, namely the Georgia Internation Law Enforcement Exchange(GILEE) and our campaign to shut it down. American Friends Service Committee is grateful to be able to lend support to MEIAG's important efforts and hope to play an important role in future organizing efforts. Back To School With SCAP Pt.2!! We had a last minute request to table at Stephenson High School in Stone Mountain and on less then 24 hours we were able to make it happen thanks to Josie and Adam! It was the first time we've ever tabled at Stephenson, so there's always a little tension and anxiety about how students and faculty will receive us. The three of us that spent all four lunch periods with the student body couldn't of asked for a better group of teenagers to hang out with. We met aspiring rappers, airplane pilots, artists, future accountants, physical therapists, and many more. When really asked most Stephenson high students had unique dreams for their future that didn't necessarily fit into the university/military/low wage job box that many students are conditioned to believe are their post high school options. The message we stressed, "your options are unlimited". We gave out every copy of "It's My Life" that we brought with us, and students took almost all of the other resources we brought as well. We may have gotten more e-mail addresses from students at Stephenson then we've ever gotten on a single visit to a school. 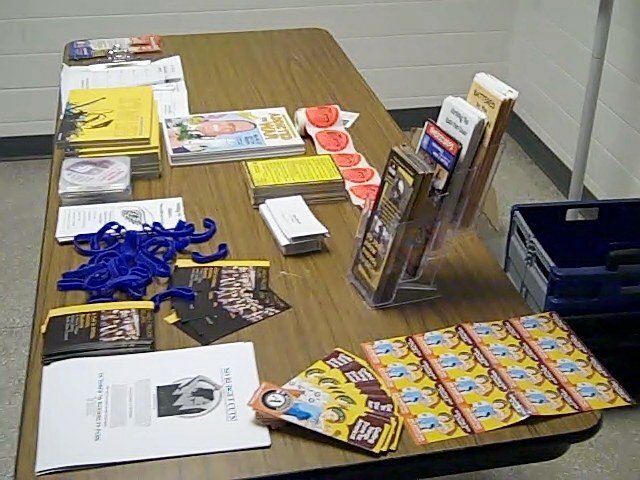 Students seemed particularly interested in our, "If I Had A Trillion Dollars" youth video contest and our upcoming free all ages, "Love Bombs Over Euclid" event October 9th in little 5 points. We can't wait to come back to Stephensen! Back to School With SCAP! 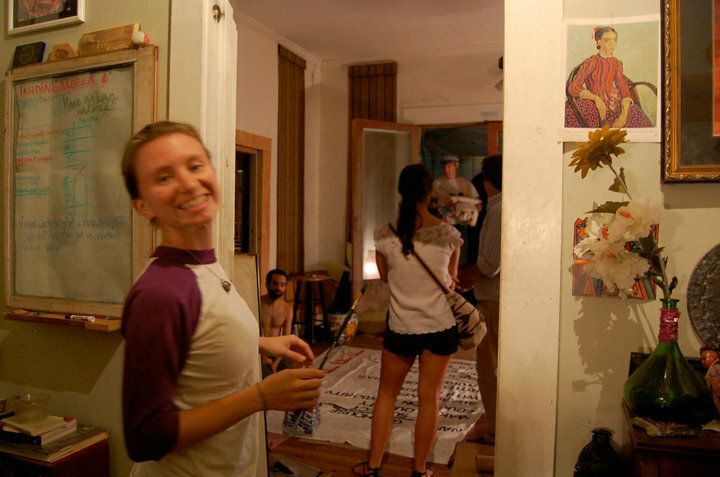 One of AFSC Atlanta's most exciting projects is the Student Career Alternatives Program(SCAP). Over the last few years SCAP has visited dozens of high schools, hosted various youth focused concerts, and facilitated a successful city wide art contest all with one goal in mind, promoting the numerous under promoted non-military post high school options for Atlanta youth. 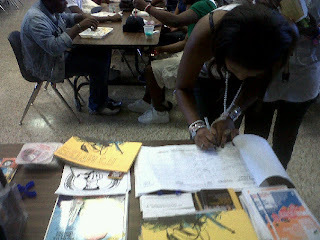 This is an exciting time of year for SCAP organizers as high school students are settling into the 2010/2011 school year. 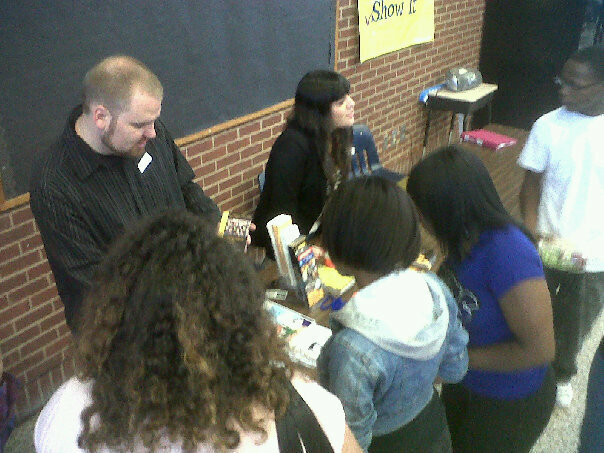 This month SCAP will be tabling at many Atlanta area high schools for the first time but before we make new friends, it's been really awesome revisiting some of our old ones. This past week we got to table at Cross Keys High School for the first time this year. This marks our third consecutive year of tabling at Cross Keys. We've literally gotten to watch some of these student grow up. Many of them know me by first name and go out of their way to check in with me and see what's knew with SCAP. I came with over 50 "It's My Life" books and ran out of them with in the first half of lunch time. 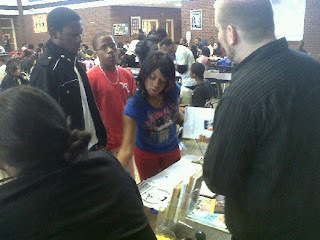 We also gave out over 30,"Beofre You Enlist" DVD's and students took tons of literature. One thing that made the "trillion dollar question" extremely relevant was the financial crisis that Cross Keys has had to deal with. The cafeteria staff has been cut in half, causing some kids to get their food two minutes before the bell rings. the remaining food workers have to do twice as much work for the same pay. there's also been teacher lay offs, and many departments no longer have administrative support. Several students picked up copies of our one minute for peace fold out which highlights the national budget and they expressed confusion that we could be spending over a trillion dollars on unpopular wars in far away lands while de-funding programs of social uplift, like education, in our communities. 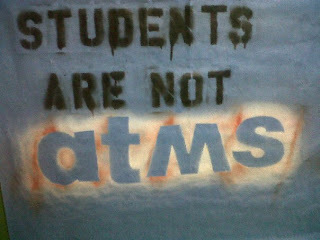 You'll notice that I didn't get any footage of students on this visit. That's simply because I have yet to get permission to do that and want to wait till I do, last year they gave us permission and I'm sure they will again this year. 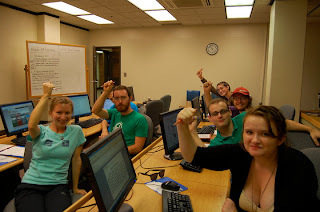 This Saturday the "Be the Change" Youth Education Campaign hosted a research session at the UGA library in Athens, GA to gain research skills and put together some solid facts for use in upcoming events, particularly the National Day of Action in Defense of Public Education on October 7th. 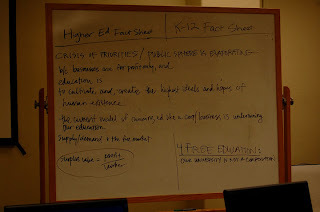 We have been working in partnership with the Georgia Students for Public Higher Education to spread awareness about the value of public education and to fight the budget cuts that have threatened it. 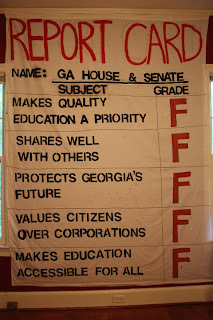 After some initial direction, we decided we should aim to put together two items by the end of the session: a fact sheet on higher education and a fact sheet on the K-12 system in GA. The overall goal of understanding the education crisis proved to be pretty daunting, with different pieces of information spread all over the place. However, we learned a lot and made significant progress on our fact sheets. ...that during fiscal year 2011, the amount that GA is spending per student on K-12 education will drop to its lowest level in a decade? ...that in every county in GA, the K-12 system is one of the top 10 employers (and that in 27 counties, public post-secondary institutions are one of the top 10 employers as well)? ...that in 2009 Georgia State President Mark Becker made $325,000 and that a security guard at Georgia State makes $25,305 per year? Thanks to everyone who came out to the research session and the potluck and poster-making session afterward. We still have a lot of work ahead of us, and we are looking for help! Please email me at erica.scap@gmail.com if you'd like access to our fact sheet material as it still needs some additions and clarification. As always, please visit GSPHE or "Be the Change" to get more involved in the fight for education as a human right in Georgia! Special thanks: Librarian Amber Prentiss for a wonderful research guide, Liz Kinnamon for photos, and the Presbyterian Student Center for hosting our potluck. Stay tuned for more as we approach October 7th!! As part of our ongoing "Be the Change" curriculum at the Horizon's school AFSC organized a field trip to the King Center where students where able to walk through the museum that lays down a basic time-line of Martin Luther King's life, legacy, and highlights other important factors of the civil rights movement. Students also learned about the role that young people played in the civil rights movement and we explored much or the unrealized work of Dr. King and his contemporaries around poverty and militarism, work that is still sadly relevant today. After spending time in the museum we headed to the theater for a screening of "A New Time, A New Voice", which was a 30 minute retrospective on King's life. Many of the Horizons students expressed feeling deeply effected by the film, one 10th grader stated, "I've always known that Dr.King was part of something important, but I never had any idea of the sacrifices folks made in that(civil rights) struggle. I had no idea it was that hard." After the film we spent some time around Coretta Scott King and Dr. King's tomb and we went inside the Freedom center where there are rooms devoted to Rosa Parks, M.K. Gandhi, Dr. King, and Coretta Scott King. We're looking forward to processing the experience further with students as we begin to explore modern movements in the south.